11. The Travelrest Travel Blanket ($30) is the dorkiest, most luxurious thing you will ever buy. 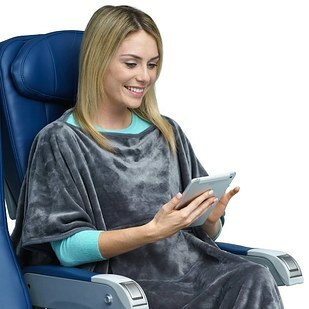 OK, hear me out: airplane blankets are hardly blankets at all and, like your corporate office building in the summertime, plane cabins will crank up the AC no matter what. One cozy blanket will go a *long* way. This blanket has an opening for your head so it can actually cover your shoulders without slipping down. It’s kind of like a pajama poncho. I also love how packable it is. 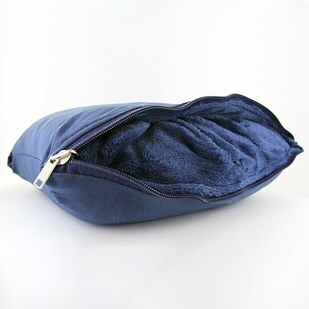 It folds into itself and doesn’t need a separate carrying case.